Hear the full conversation with Red Earth Running Company founder Dirk Whitebreast and Red Earth Running ambassador Verna Volker. Red Earth Running Company is an athletic outfitter, local race sponsor, and Iowa-based company. But more than that, Red Earth Running Company may very well be the first business of its kind geared at supporting indigenous runners. Dirk Whitebreast, a member of the Meskwaki Nation, created Red Earth Running Company after noticing a distinct lack of representation for indigenous identity in the national running community and in the outfitting and advertising materials that support the sport. Red Earth Running Company is more than the running gear it sells. It’s a platform to elevate indigenous runners while seeking to form a community of native runners across the country. One community member is Verna Volker, a mother, ultramarathoner, and member of the Navajo Nation who is now an ambassador for Red Earth Runners. 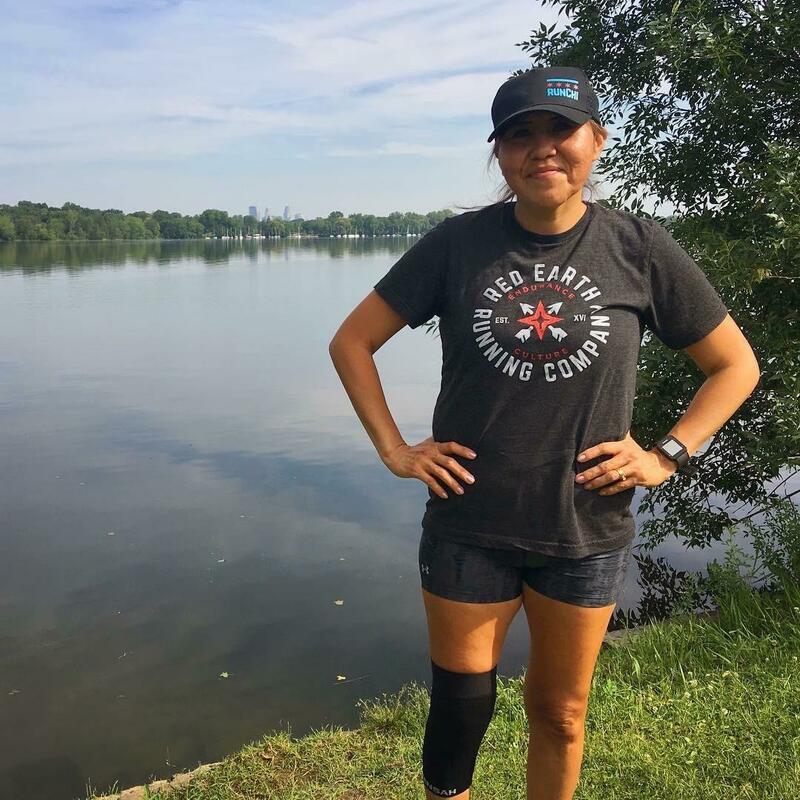 The pair met through Instagram, where Volker, who lives in Minneapolis, runs @Native_Women_Running, an online community where she shares the stories and progress of other indigenous women runners. Volker says she’s been surprised by the fast growth of the account, which now has 1,200 followers. “I’m meeting these women and I’m just thinking, these are incredible stories of women who are doing these amazing things. Indigenous women,” Volker says. On this hour of Talk of Iowa, Whitebreast and Volker join host Charity Nebbe to discuss Red Earth Running company, and the importance of amplifying the voices of indigenous runners within the wider running community. Later in the hour, a look back at the career of Coach Dennis Olejniczak, who recently retired after 55 years as the coach of the Decorah Vikings baseball team in Decorah, Iowa. Coach O, as his players call him, ended his career with 1,417 wins to his name. He was chosen as Iowa's Coach of the Year three times and was named National Coach of the Year in 2009. Hear the conversation with Coach Dennis Olejniczak. When Leigh Ann Erickson taught in Chicago and New York, she witnessed the effects of social injustice every day. But the view from small town Iowa can be very different. That’s why Erickson founded a social justice course, an African American literature course, and the CARE Conference at Mount Vernon High School. Through this curriculum, Erickson hopes to broaden her students' perspectives about income inequality, race, and the criminal justice system. People often choose to group up with others they relate to in gender, race, and other demographics; but research shows that increasing diversity and inclusion in workplace and educational settings can lead to more creative, productive outcomes.